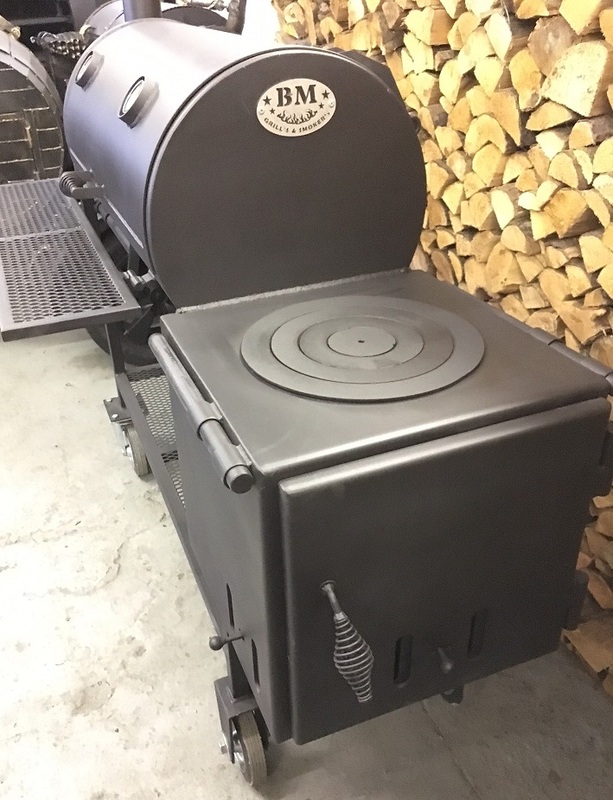 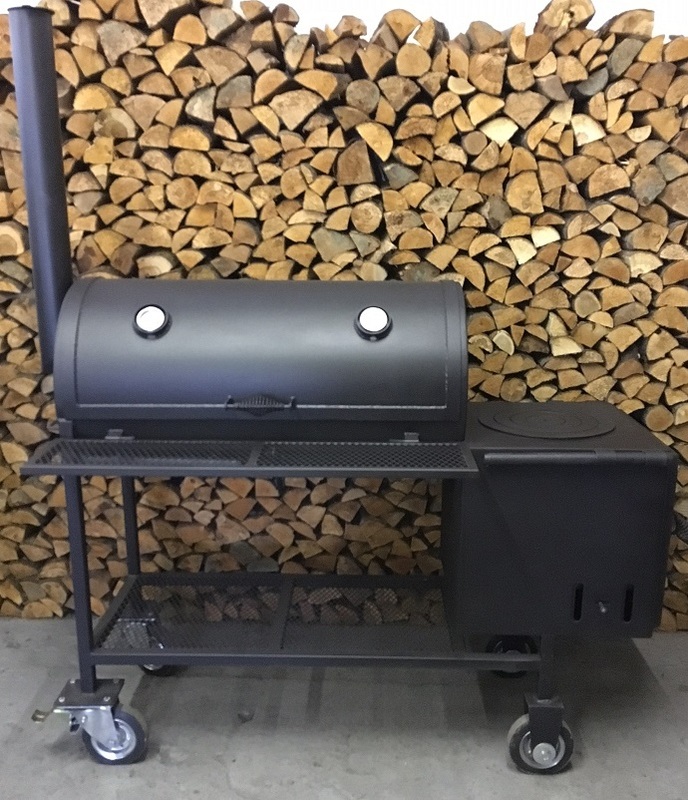 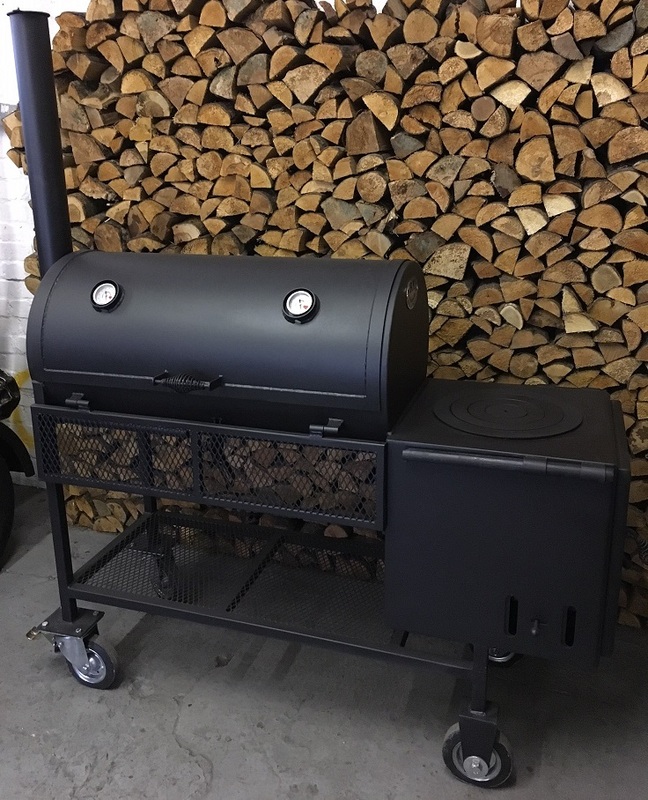 The BM S-3 Offset Smoker expands your horizon of barbecuing to introduce the world of slow smoking, with the smoke drawn into the chamber indirectly to ensure the finished product is moist, tender with a rich smokey flavour. 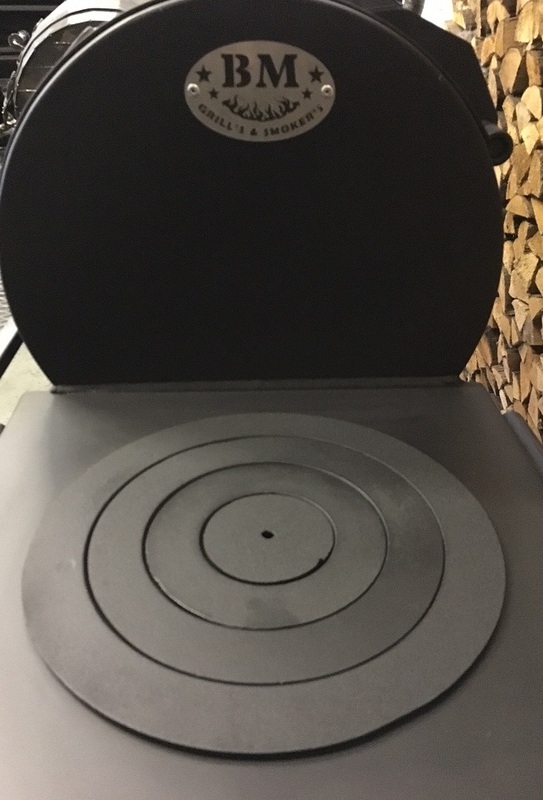 However this isn’t restricted to smoking, as you can use either the offset firebox cast iron hotplate for frying, boiling, prepare sauces ,etc. 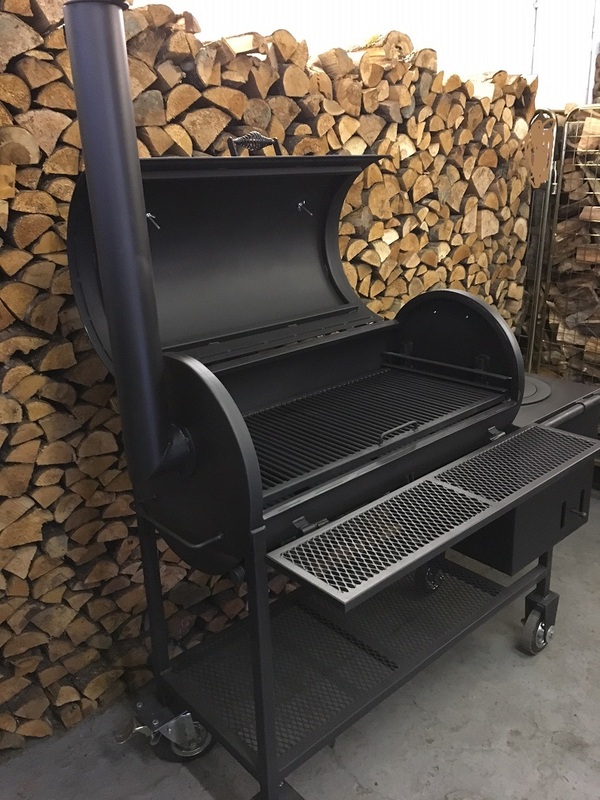 This is truely a unit for the backyard enthusiast! 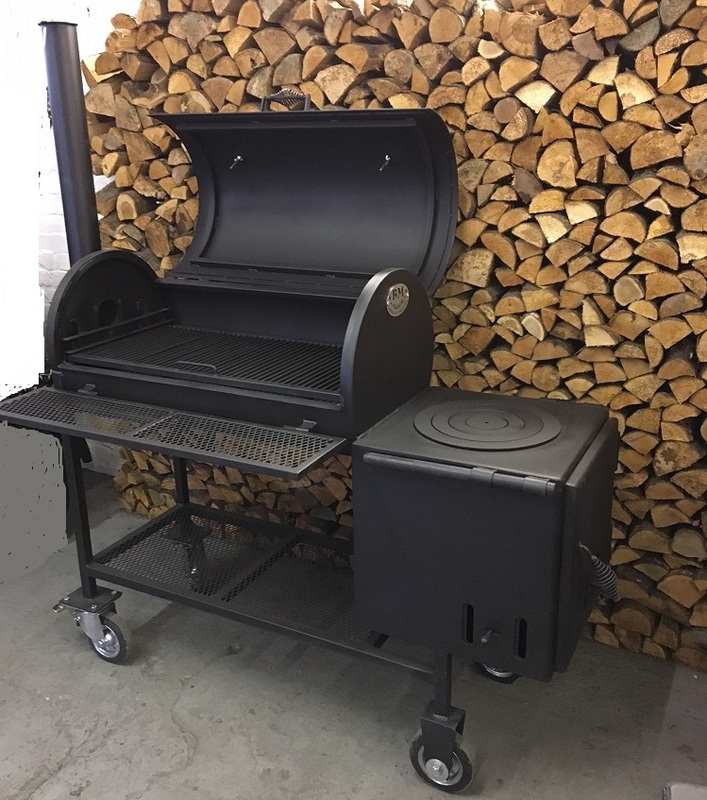 Heavy duty cold-rolled and welded 5mm thick steel plate construction, with heat resistant paint finish. 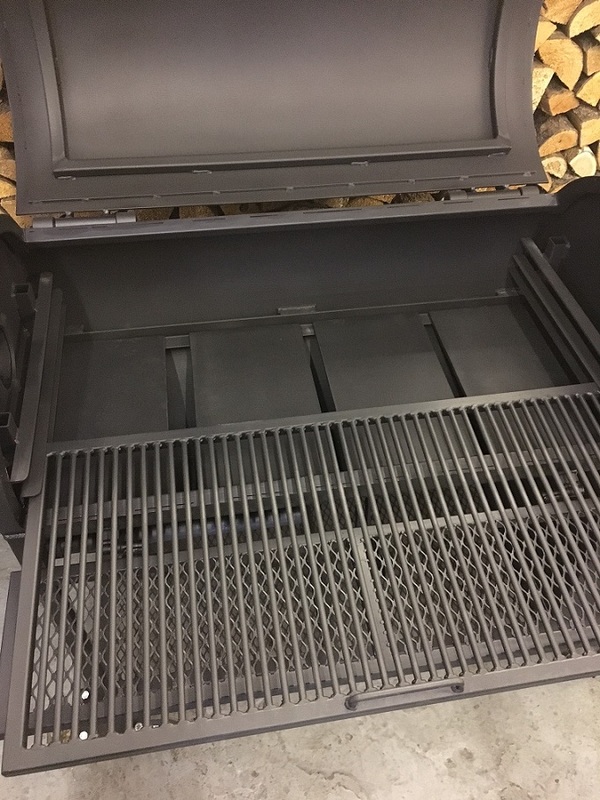 Front mesh shelf to rest utensils and accessories while you cook. 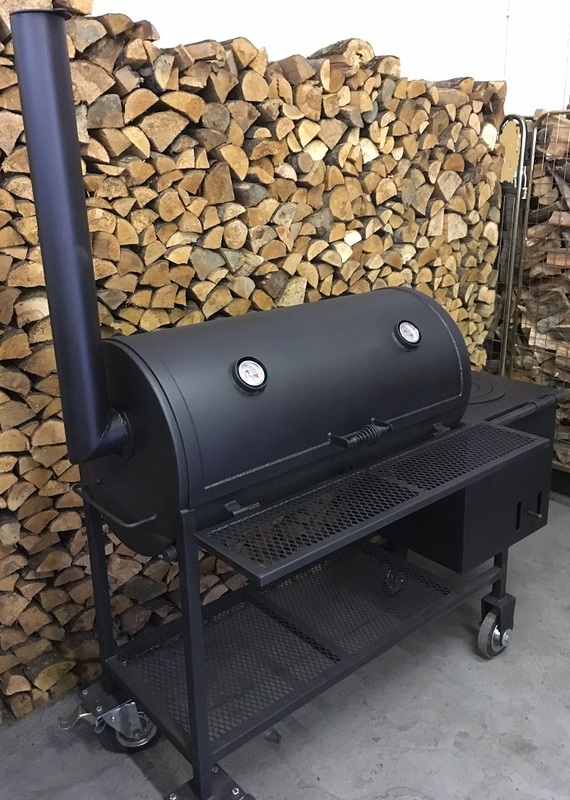 Two temperature gauges in both Celsius and Fahrenheit. 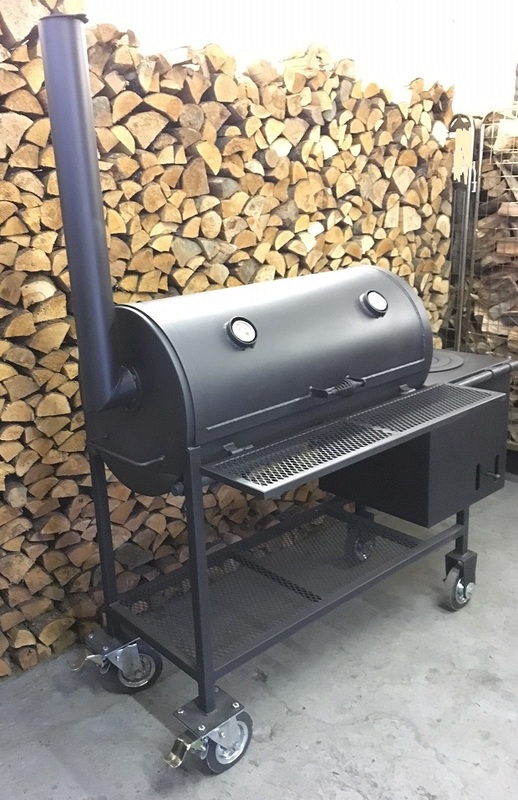 Adjustable dampers on firebox and smoke stack. 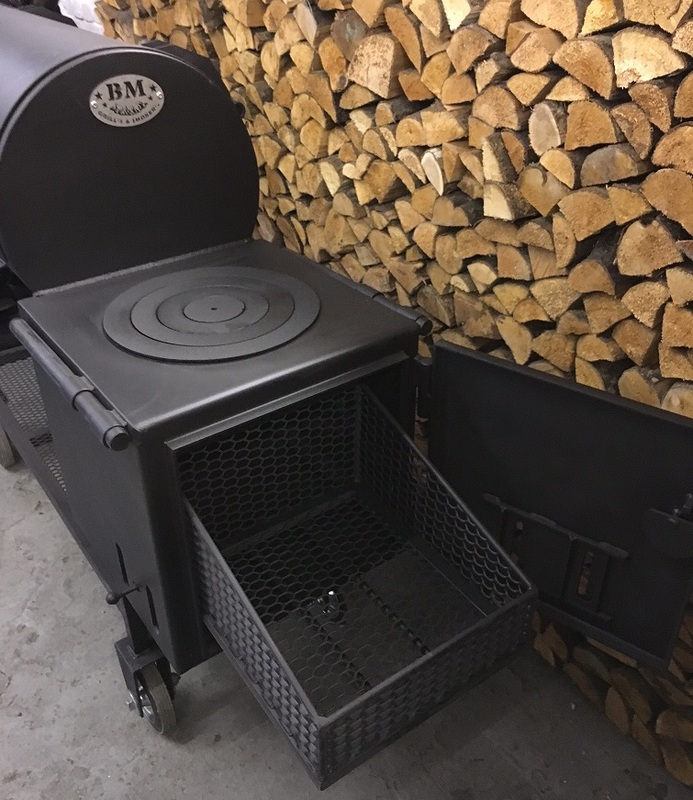 Heavy duty pull out cooking grate.